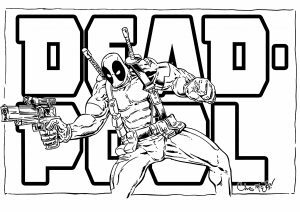 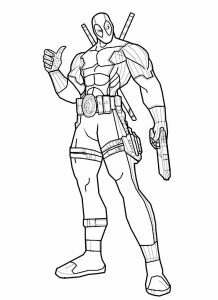 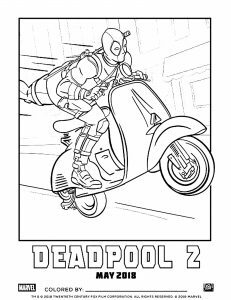 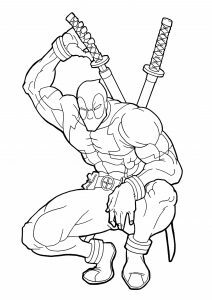 Discover Free Coloring pages inspired by the very special Super hero Deadpool. 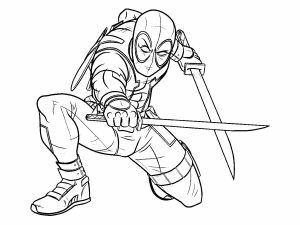 As a fictional character, Wade Wilson / Deadpool has appeared in various adaptations, from comic books to films and television series. 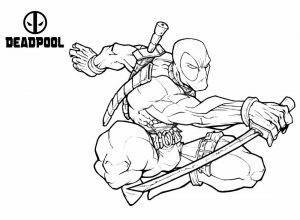 He makes his first feature film appearance in X-Men Origins: Wolverine, portrayed by Ryan Reynolds. 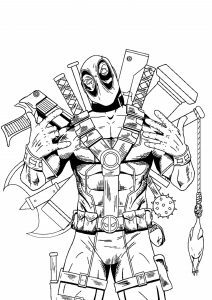 Deadpool's primary power is an accelerated healing factor.